Our research tells us that companies are beginning to place an increasing emphasis on hiring metrics, such as quality of hire (that is how well employees perform and how long they stay for) and are reducing their emphasis on more traditional hiring metrics, such as cost of hire and speed of hire. But, while the emphasis on cost per hire and time to hire has been reduced, these traditional measures have not been eliminated. They remain important and any hiring manager or team that can reduce cost or time to hire, while maintaining quality, will certainly be excelling in the role and taking their recruitment process to the next level. Many firms have there very own talent goldmine on site, but simply don’t use it. Many firms choose to bypass their own internal talent pools in favor of trying to attract external applicants. This is, in many ways, a folly process, as it generally takes longer to hire external recruits. Research from Wharton University also shows that external recruits have: significantly lower performance valuations for their first two years on the job than internal workers who have been promoted, have higher exit rates and are paid 20 percent more. It seems to me that making sure that internal applicants get a chance to apply for roles is a great way to potentially speed up your hiring process without necessarily reducing quality. Research from Career-Builder tells us that employers are increasingly deciding to ‘re-skill’ workers themselves as a direct result of talent shortages and extended hiring times. Thirty-nine percent of employers are looking to train internal or external staff so they can take up roles, which would otherwise lay empty. I would recommend that you consider ‘re-skilling’ in your business as it could result in reduced times to hire in your business, arguably without a reduction in quality. OK, we talk about this a lot, but I know it is still being under utilized, as I get many queries about crowd sourcing and hiring via employee referrals. But, the statistics behind employee referrals are compelling, that is according to a Jobvite survey, employees hired via referrals get hired 55 percent faster and have higher retention rates compared to other recruitment channels, such as career sites and jobs boards. So, increasing your focus on or introducing an employee referral scheme is another excellent way to reduce time-to-hire while at the same time arguably increasing quality. We know that employees are drawn to companies that have an attractive culture and excellent career development opportunities, but the truth is that one of the key draws to a company is still money and it not only catches the candidate’s eye prior to applying, it will be a key reason for why an employee joins your business. Therefore, higher compensation should increase your number of applicants and reduce the number of people who reject offers, which should reduce your time-to-hire. 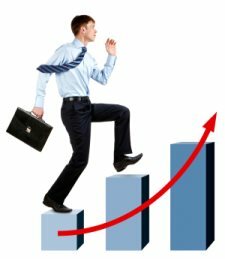 Employers are becoming aware of how crucial compensation is to attracting talent quickly in the current climate as research from CareerBuilder shows that 47 percent of employers will be offering higher starting salaries for new employees in 2013, which is up significantly from 32 percent in 2012. With the recent launches of a range of new and updated smartphones and the gradual arrival of 4G throughout the course of the year, video is going mainstream and job seekers will be routinely accessing job-related video from the palm of their hand as a core part of every day life. And recruiters should respond to this by engaging with job seekers by video. Why? Because, CareerBuilder research shows that job postings with video icons (on Careerbuilder) receive a 34 percent greater application rate than postings without video. So, if you start adding/linking to video from your job postings you should receive more applications and have greater access to the market, arguably reducing your time-to-hire, without necessarily impacting quality. I hope you found these pointers useful and if you would like to hear some further pointers to reduce your time-to-hire, please watch for the second part of this article tomorrow.